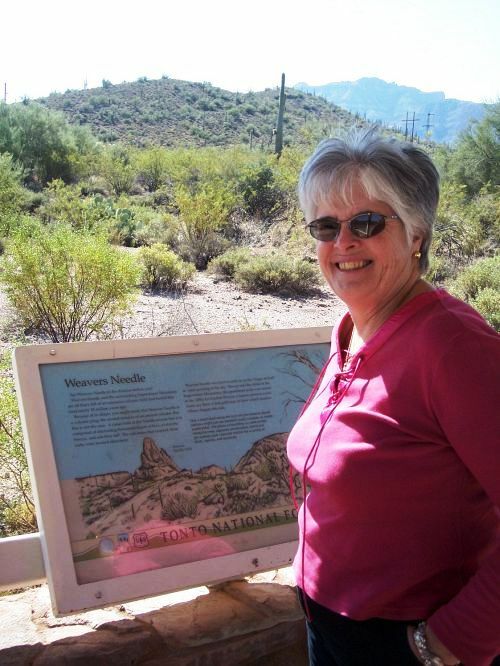 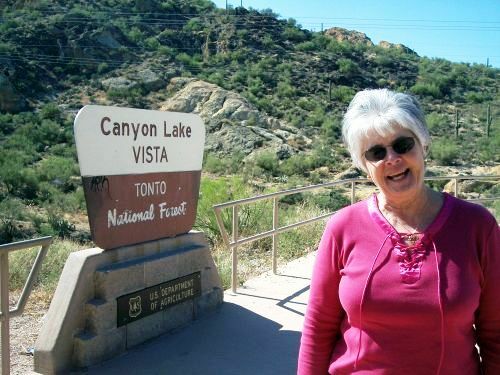 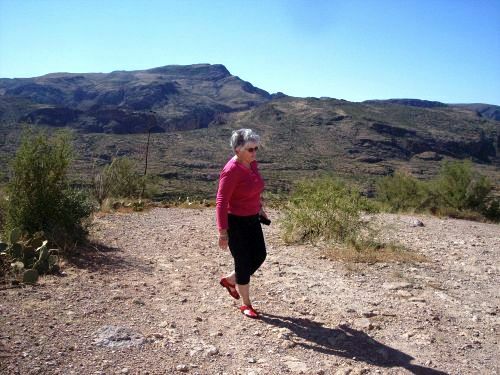 While on vacation in Arizona, Shirley and I recently crossed over the old stagecoach route known as the Apache Trail. 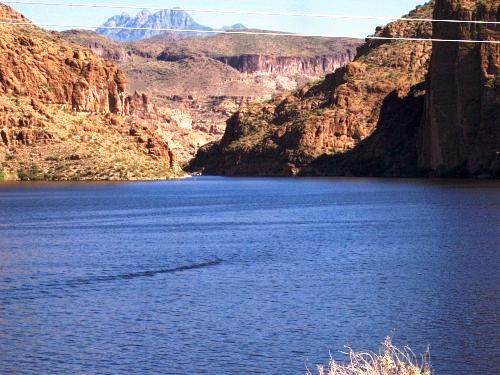 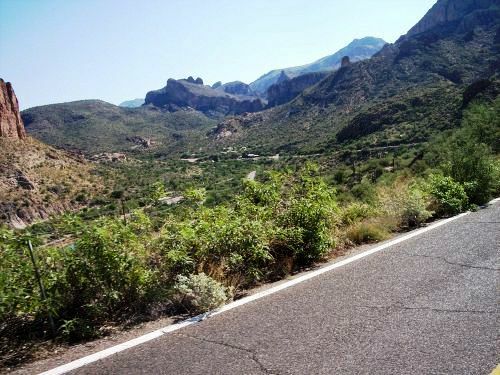 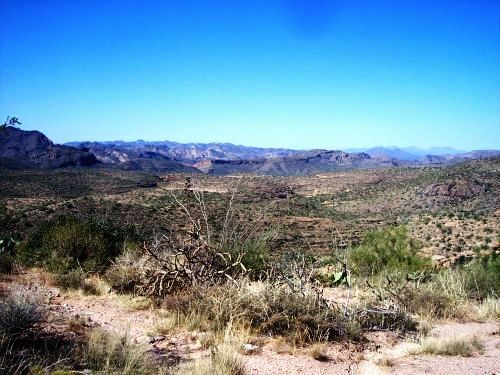 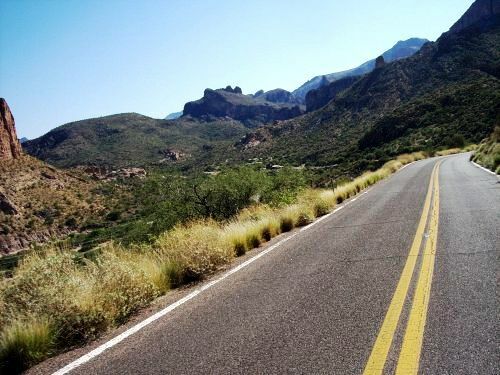 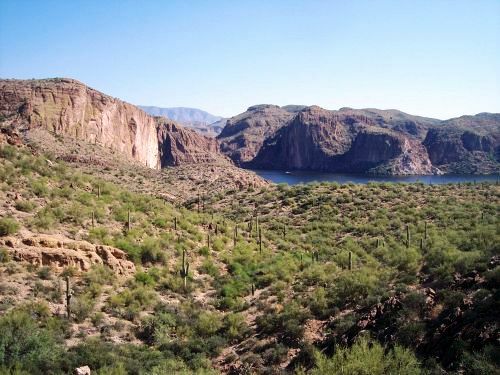 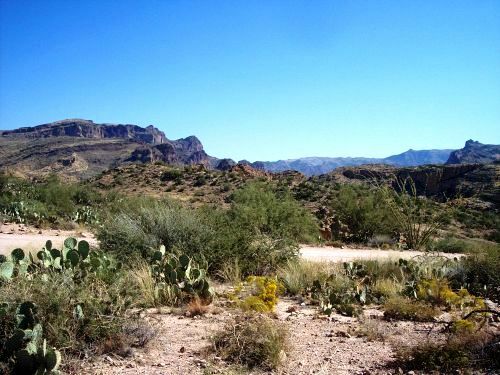 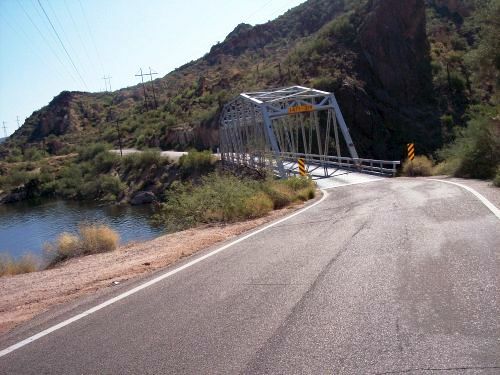 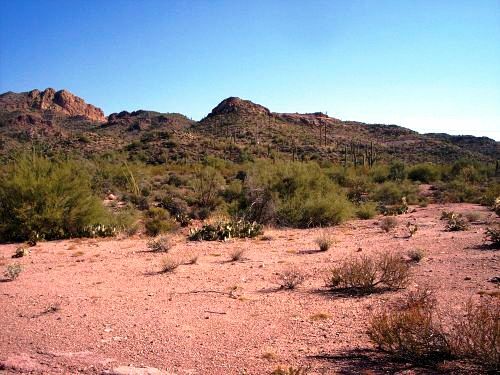 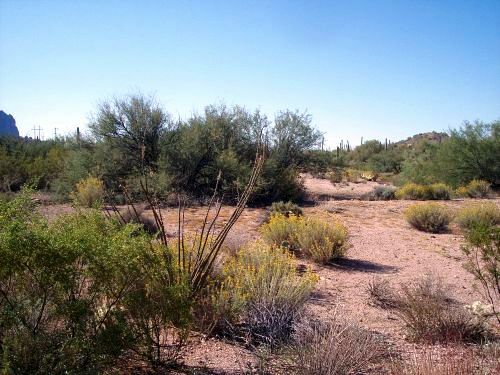 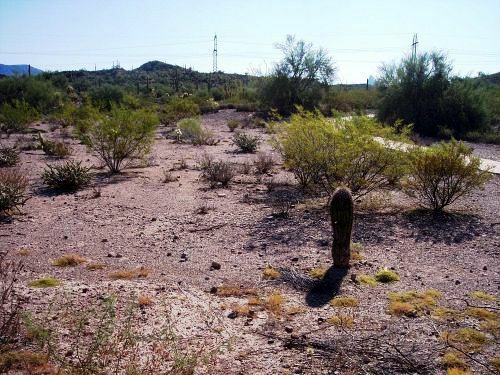 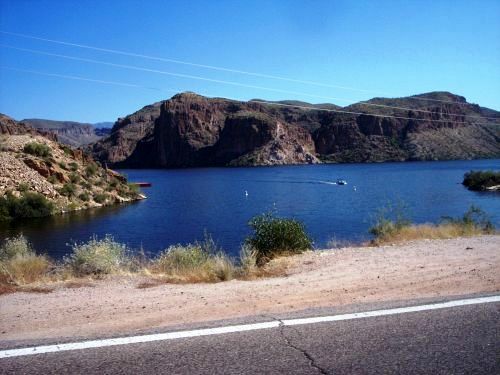 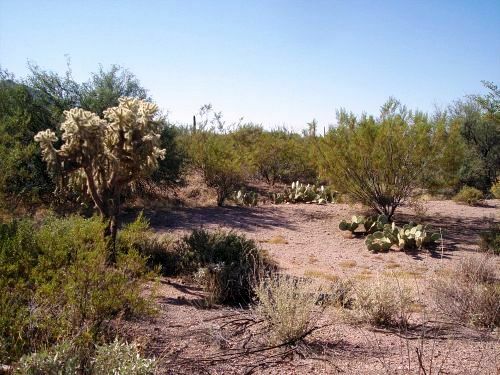 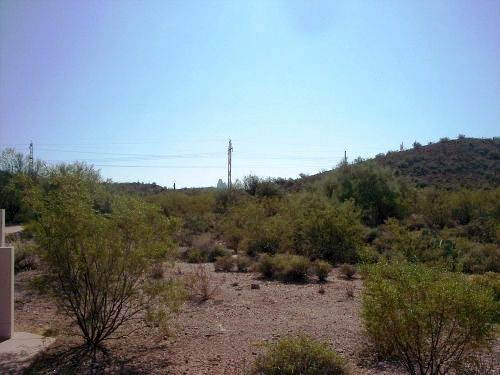 This road, rough in places, begins east of Phoenix in Apache Junction and meanders its way through the Superstition Mountains and Tonto National Forest to Roosevelt Dam. 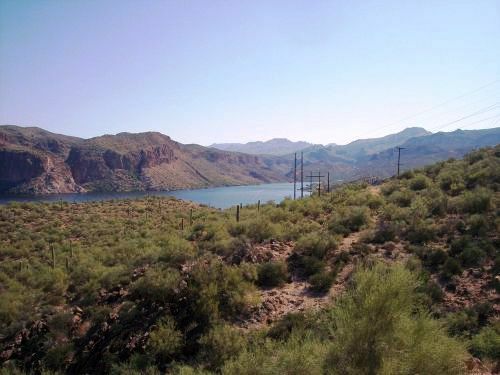 Power lines travel along the length of the trail, but the road covers some beautiful country and many a wonderful vista is had along the way.